The NY Times got real shady sharing an article about the women who brought trail blazing female activists with them to the 2018 Golden Globe Awards. 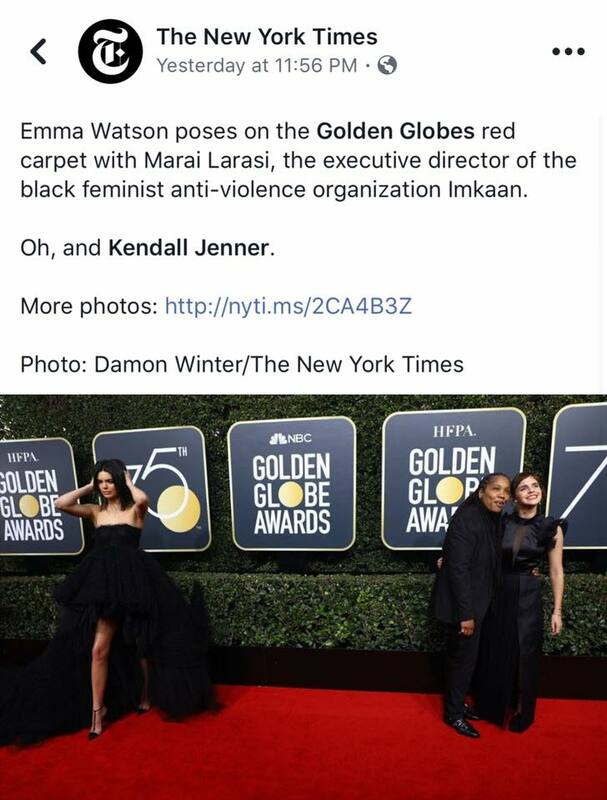 The article featured an image with Emma Watson and activist Marai Larasi. In the pic, which was shot from a wide perspective, Kendall Jenner is also seen on the left, fixing her hair and posing for the cameras — no activist by her side. Someone quipped, “Guys leave her alone…. clearly she just realized that she forgot her can of Pepsi to help with the #metoo movement. I mean duhhhhhhh.” The joke was a reference to Jenner’s widely panned Pepsi commercial in which she crossed a protest line to give a soda to a policeman. However, many women on social media voiced their disappointment with the NY Times publishing the caption, seemingly pitting one woman against other. Whilst it’s completely anti-feminist to drag one woman to lift up another, there is a point to be made here that perhaps a token effort to support a movement mainly for publicity is hugely problematic. 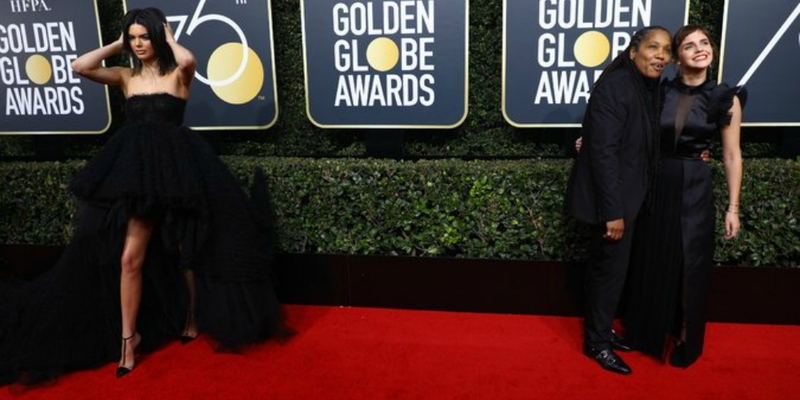 Kendal being on the red carpet felt disingenuous and an opportunity for her to put out her brand rather than make a political statement. Not calling out women for problematic behavior only serves to silence those most in need of intersectional feminism. Now granted, Jenner probably wasn’t invited to bring an activist. But does the photo highlight a daunting difference in society and what we value: style over substance? Jenner’s brand could be seem as problematic, while Emma Watson and Marai Larasi could be seen as a solution. But isn’t that Jenner’s choice? And isn’t she allowed that choice to choose?